Scientists in China have already conducted clinical trials of CRISPR-Cas9 gene editing technology on humans, but the technology has yet to be green-lighted in the United States. While CRISPR-Cas9 has been used in several animal studies in the United States, no human trials have been completed due to fears over safety. However, progress is being made. On August 31, an announcement was made on clinicaltrial.gov about the first clinical trial of CRISPR-Cas9 to be sponsored by a U.S. company. The clinical trial sees CRISPR-Cas9 technology used as a potential treatment for β-thalassemia – a genetic blood disorder that results in the body producing low levels of hemoglobin, which limits the ability of the blood to carry oxygen. The therapy has not yet been used on any patients, but recruitment for the trial has already commenced. 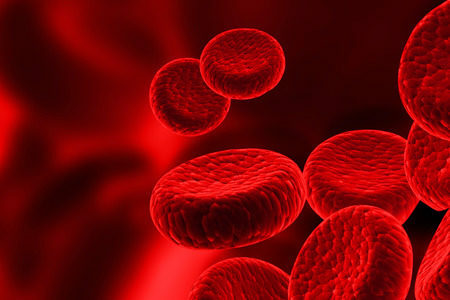 The study will be conducted on 12 subjects between 18 and 35 years of age who have transfusion-dependent β-thalassemia. The safety and efficacy study is sponsored by the Boston-based company Vertex Pharmaceuticals and the Swiss company, CRISPR Therapeutics, which operates labs in Cambridge, Massachusetts. The study itself will not however be taking place on U.S. soil. Instead, the study will be run in a hospital in Germany. The study is one of several that have been planned to test the effectiveness of CRISPR-Cas9 as a possible treatment for a range of serious genetic disorders and this is an important first step toward the development of new innovative treatments that can be offered to U.S citizens, although it will likely be years before CRISPR technology is approved for use on patients in the United States. While CRISPR technology can be used to perform edits on defective genes, this study is concerned with the removal of a gene which represses the production of fetal hemoglobin. The study will involve the collection of blood cells from patients taking part in the study, the therapy – CTX001 – will be applied to the cells, and they will then be transfused back into the patients. Previous research suggests the removal of the gene will allow patients to generate sufficient levels of hemoglobin. The technique should also work for the treatment of sickle cell disease. The study’s official title – A Phase 1/2 Study of the Safety and Efficacy of a Single Dose of Autologous CRISPR-Cas9 Modified CD34+ Human Hematopoietic Stem and Progenitor Cells (hHSPCs) in Subjects with Transfusion-Dependent β-Thalassemia – is expected to be completed by May 2022.